For organisations worldwide, the challenge of creating and sustaining an effective performance culture, where employee behaviour and performance is aligned with the organisational strategy, and where the work environment fully mobilises human capital – is a critical factor in providing a strategic edge in the fiercely-competitive global marketplace. A performance culture refers to an entrenched system of values, behaviours and management practices that continuously drive and reward performance, and seeks to align strategy, structure, processes and systems with individual and team behaviour. The single most important requirement for a successful performance culture is top management accountability. Where the executive team is responsible for delivering value against clearly defined targets and are ‘rewarded or punished’ accordingly by the Board, the pressure to enforce performance filters down from the top through every layer of the organisation. The impetus behind the process is sustained and unrelenting, and barriers to achieving results are quickly identified and dealt with. Without this accountability, for example, in public or quasi-public enterprises, where executive management positions are often politically motivated and of a short-term contract nature, this severely mitigates against the effective implementation of performance culture. A strategic process that clearly defines the mission and mandate of the organisation and articulates the objectives and competencies that underpin success is critical. Further, there needs to be a close alignment of Individual Performance Contracts with the organisations strategic objectives. In other words, the performance management system needs to be seen as a strategic business tool, rather than a Human Resource ‘people’ process. Where a strategic planning process has been completed, the plan must be communicated clearly across the various levels of the organisation. Organisations that achieve outstanding results and shareholder value have, in almost all cases, institutionalised a process of performance management. Setting unit, team and individual performance goals linked to the overall business plan, providing performance feedback and support and rewarding performance, needs to become an integral part of the overall management process. 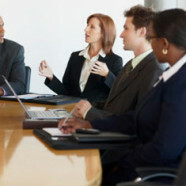 While implementing and sustaining an effective performance management process remains a challenge for most organisations, strong management accountability, an ongoing investment in training, and using information technology to empower and simplify the process, remain key to ensuring this critical piece of the performance culture puzzle is completed. A well-defined reward strategy that links to and supports the overall human capital strategy is critical to achieving a performance culture. Each payroll rand needs to be optimised to ensure the attraction and, retention of the best talent, at the lowest cost, in line with overall business objectives. This requires a balanced approach using an appropriate mix of base and variable pay, which is likely to be different across the across the organisation when segmented vertically and horizontally. A one-size-fits-all approach is unlikely to achieve results. Perhaps the most important requirement is to ensure, as far as possible, that people are rewarded for results which they actually influence. The acid test is this: does the reward system actually change the way people think and behave? If the answer is no or uncertain, then it is possible that the organisation is dispensing payroll rands for performance without actually getting a return. Further, sound reward management must include both an upside and a downside, meaning that those who excel have the opportunity to increase their earnings and those who fail, find their earnings limited or eroded. Without this approach, the organisation will continue to increase its payroll costs without a concomitant increase in productivity, eroding its ability to compete in the global market place. Many organisations put in place performance reward and management systems but show, at one level or another, a reluctance to deal with under performers, or to terminate employment for reasons other than gross misconduct. A zero tolerance approach to underperformance increases accountability across all levels of the organisation, and not only raises the ante to achieve, but also ensures passengers are removed and potential obstacles in the value chain are quickly dealt with. This approach needs to be countered with the right support structures – training for managers in industrial relations and a strong managerial climate, with ongoing performance coaching and training support, to ensure that this uncompromising approach does not negatively impact upon the organisational culture. A performance culture requires a culture of people management. In order to compete in the global economy, the need to embrace leadership styles and practices that maximise human behaviour is not a nicety, but a necessity. Performance cannot be imposed from above – it has to be nurtured, grown and encouraged at the level of the individual, and for this reason the employee/manager interface is critical. Managers should understand that their prime reason for being a manager is to drive and motivate performance and they need to be able to support and empower others to achieve results. They need to be selected, based upon the right mix of technical and behavioural competencies and receive individually structured leadership and people-development training. Critically they need, in turn, to be measured and held directly accountable for the quality and success of their people management. Further, the organisation should pay particular attention to measuring and managing the overall managerial climate to ensure the right context for high performance is created and sustained. Having the right people, with the right skills and competencies, in the right roles, aligned with the business strategy is the foundation of human capital management. Well-formulated competency frameworks, again segmented vertically and horizontally, are critical for a performance culture, because it allows performance to be managed against the right criteria. Further, while the focus will always be on the delivery of outputs, particularly for knowledge and service-based roles, the discussion also needs to take account of the behaviours that underpin success and support the organisational values. The effective management of performance requires the effective management of information. Undeveloped information systems are a barrier to a performance culture because the measures and feedback systems that facilitate the quantification, measurement and tracking of performance are not yet fully developed or available. Immediacy of relevant information is critical to ensure an ongoing focus on the performance outcomes that really matter, and the optimal management of resources based upon changing business circumstances. Author: Dave Sorour is a director and senior consultant at 360 People; he has consulted to a wide range of local and African companies. Previously, there was a toolbox attached to this article. It was mistakenly credited to one of our consultants. The correct author is Shelley Holmes of Leadership and Motivation Training. We apologise to Shelley and the entire Leadership and Motivation Training Team, as well as to anyone who was misled by this error.